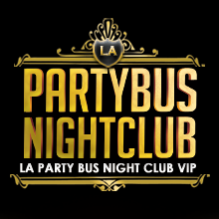 Join the LA club party tour presented by the pioneers of Los Angeles nightlife! Hollywood Blvd Crawl is a guided clubbing LA party tour of L.A’s trendiest and highly coveted nightclubs. The group skips the line at each club, heading straight inside for complimentary drinks or shots. BUY YOUR TICKET $15 (early buy) $20 online or $30+ at check in! Ticket grants you access to 3-5 clubs. DRESS TO IMPRESS Fashionable attire required. CHECK-IN 9:00 PM at Calle Tacos, located at 6508 Hollywood Blvd in Hollywood, corner of Wilcox Avenue. ** Don’t worry if you are feeling a little shy. Our hosts will introduce you to your new party crew and kick start the social vibe for the night! Mix and mingle. Enjoy complimentary shots, $3 Beers, $5 Patron Shots, and $2 off Margaritas. PARTY TIME DEPARTURE 10PM on a liver-whipping, action-packed party night out guided tour of 3-5 clubs.